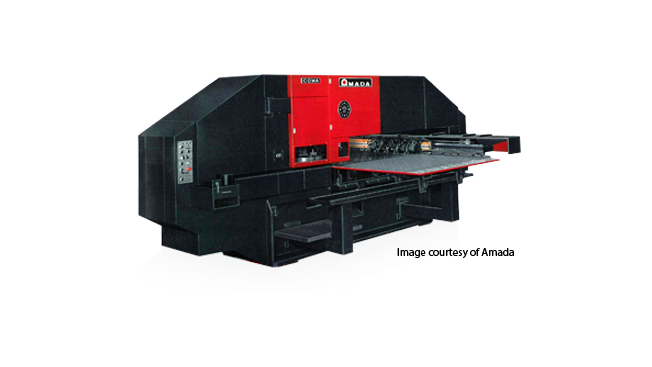 The ARIES-245 is a punch machine from Amada and is a part of the ARIES series which also includes the ARIES-222. For precision performance, the ARIES-245 has a dual C-frame which has the turret on one frame and the press mechanism on the other frame. The alignment can stay precise between the die and the punch during punching because of the isolation of the effects of yawing. The inside frame keeps its position while the outside frame contains the deflection made by punching. This helps keeps the tool alignment true and extends the tool's life. The tooling turret from this punching machine can handle materials of sheet metal up to 4.5mm of thickness. SMP, a trusted CAD/CAM software for over 35 years, is a great companion to the this turret press machine.